The size of the Annual Development Programme (ADP) for upcoming 2018-19 fiscal has been set at nearly Tk 181,000 crore with transport sector fetching the highest allocation for some mega infrastructure projects. 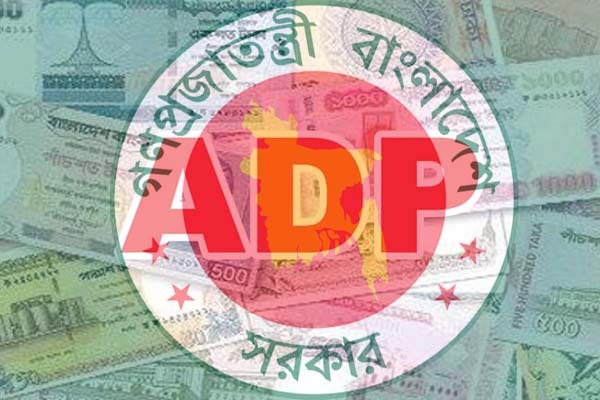 In an extended meeting last week, the Planning Commission okayed the draft of new ADP which is likely to get the final approval from National Economic Council headed by the Prime Minister on May 10, the commission officials said. Out of total ADP outlay of Tk 180,869.17 crore, Tk 113,000 crore has been estimated to come from local resources, Tk 60,000 crore from project assistance (PA) and Tk 7,869.17 crore will be borne by autonomous public corporations from their own funds. With the aim of improving the communication network, transport sector including the Padma Bridge and its rail link projects received the highest priority in next fiscal’s ADP with an allocation of nearly Tk 45,450 crore or 26.27 percent of the ADP outlay. The power sector got the second highest priority while physical planning, water supply and housing sector was placed at the third position in terms of ADP allocation. Power sector received Tk 22,930 crore or 13.25 percent of the ADP funds and physical planning, water supply and housing sector got Tk 17,890 crore or 10.34 percent resources. Tk 16,690 crore or 9.65 percent ADP money was allocated for rural development and rural institutions to bring momentum to the rural economy and create more jobs. Education and religion sector received the fifth highest allocation of Tk 16,620 crore or 9.61 percent to improve the quality of education and facilitate its expansion. Science and ICT sector received Tk 14,211 crore or 8.21 percent of the ADP for the Rooppur nuke power plant and the ICT sector. Health, nutrition, population and family welfare sector got Tk 11,905 crore or 6.68 percent of the ADP allocation. Agriculture sector fetched Tk 7,076 crore or 4.09 percent, water resources sector Tk 4,593 crore or 2.65 percent and public administration sector Tk 3,361 crore or 1.94 percent of ADP funds. However, in terms of ministry-wise allocation, local government division received the largest amount of Tk 23,438 crore followed by Tk 22,893 crore by power division and Tk 20,817 crore by road transport and highways division. Science and technology ministry got Tk 11,720 crore, railways ministry Tk 11,155 crore, bridges division Tk 9,112 crore, health services division Tk 9,041 crore, primary and mass education ministry Tk 8,312 crore, secondary and higher education division Tk 6,006 crore and water resources ministry received Tk 5,606 crore from the annual development funds.